After a long and successful career in fashion, PREP founder Holly Wilson was looking for a new challenge during her maternity leave. 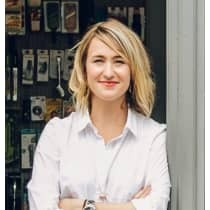 Having lived in Stoke Newington for a number of years renovating her own home, she noticed a lack of cook shops offering niche and design-led brands for foodies in the area. She set out to create a space that was unlike the stack-them-high cook aesthetic and PREP lives up to her aim. Stocking beautiful and unusual kitchenwares, it has become a key shopping destination within the local community. "It's tough out there on the high street with huge overheads but I believe that there will always be a place for independent retail with a loyal local customer base. Modern bricks-and-mortar retailing is all about cherry picking the ultimate products for your customer whilst building a community and an experience for your customers."